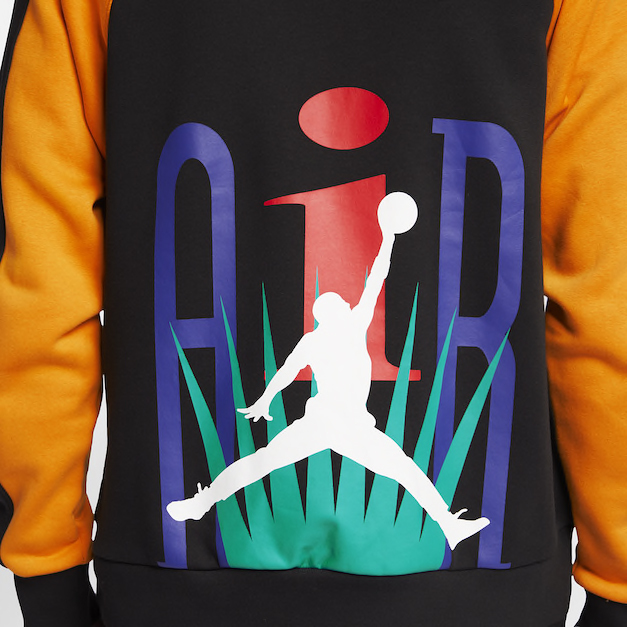 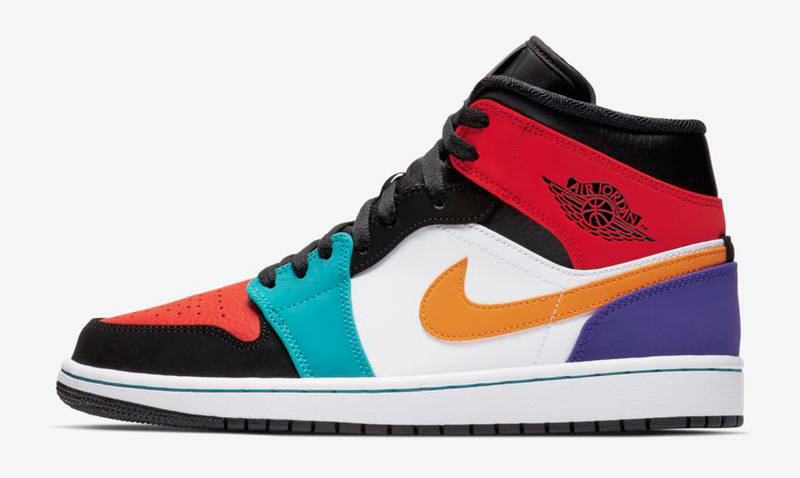 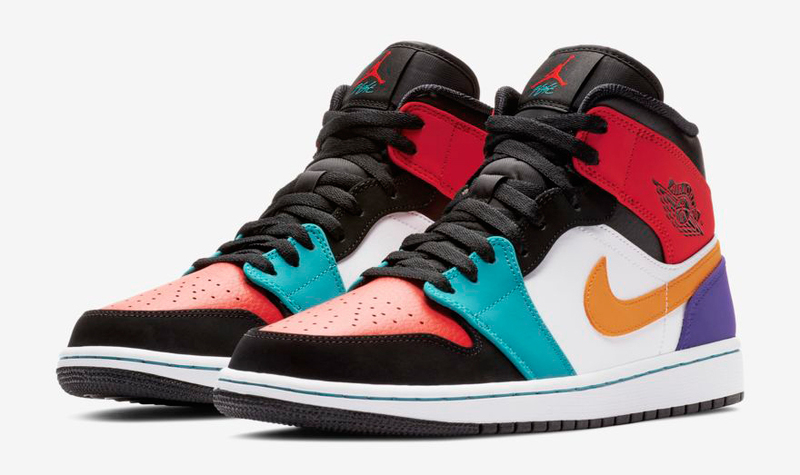 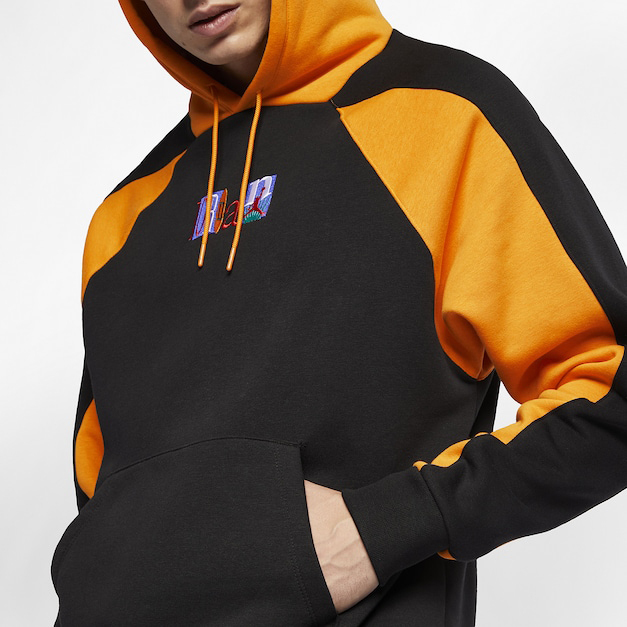 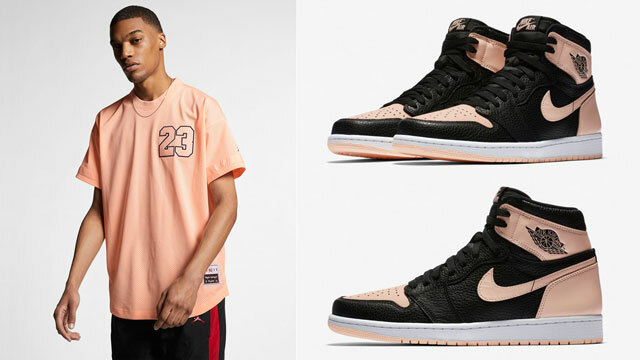 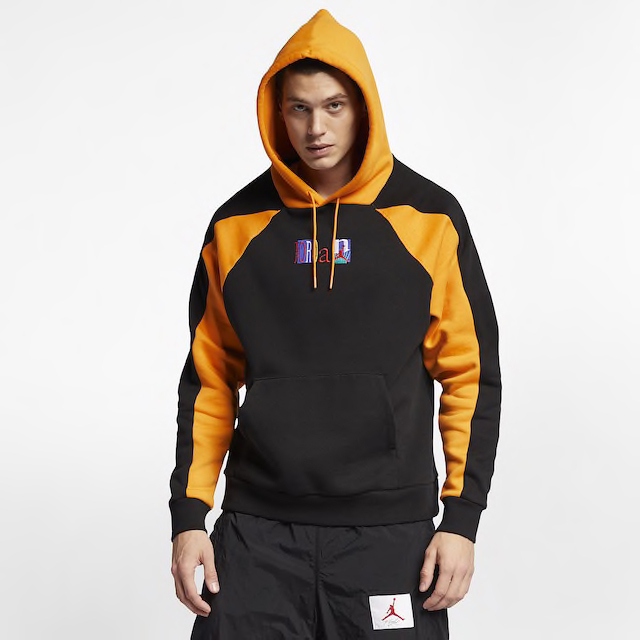 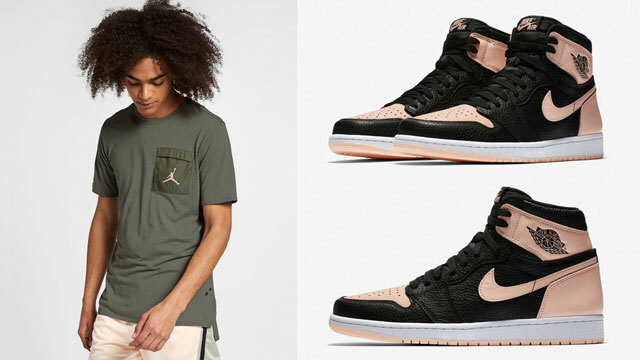 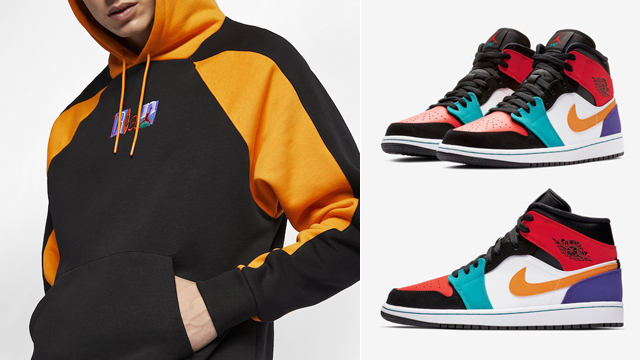 Good to hook with the Air Jordan 1 Mid “Multi-Color” sneakers is this Jordan Retro Flight Nostalgia Pullover Hoodie to pair up with the colorful kicks. 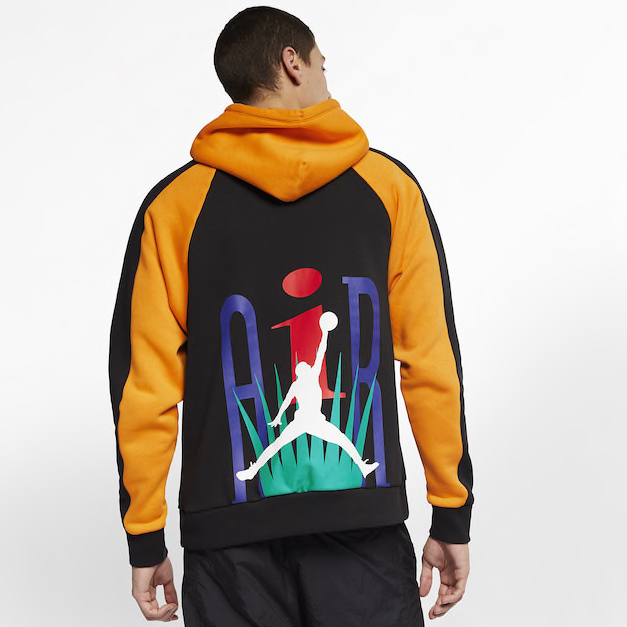 Dropping as part of the Air Jordan 9 “Dream It, Do It” Collection, this new Jumpman hoodie mixes black and gold with multi-colored Air Jordan graphics on the front and back to match the hues on the shoes. 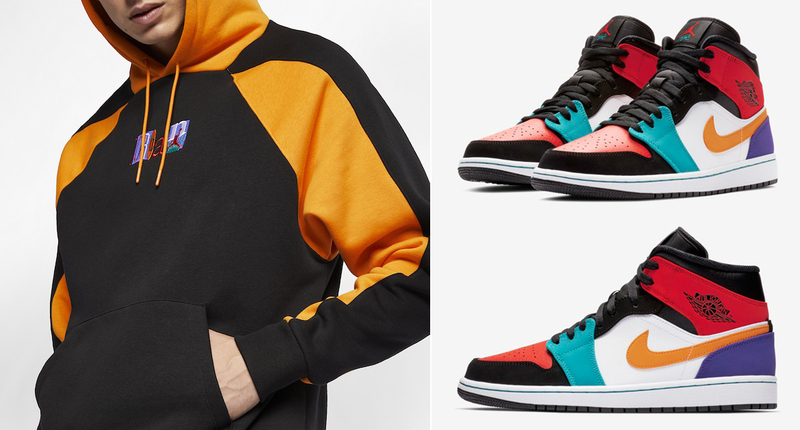 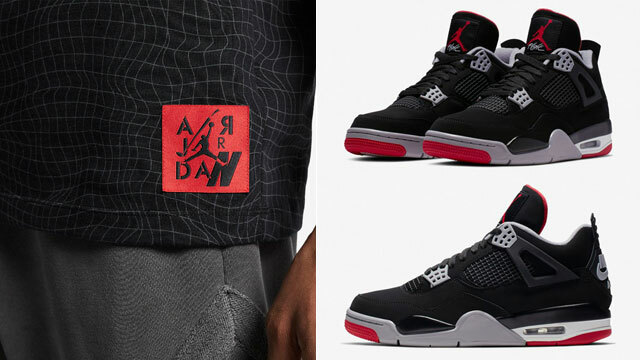 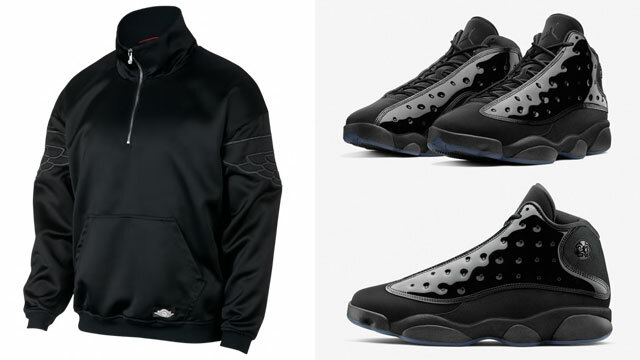 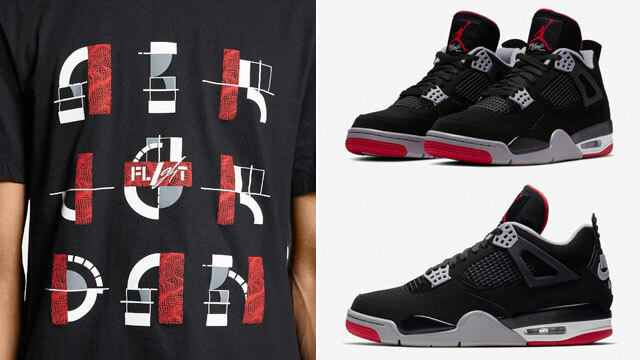 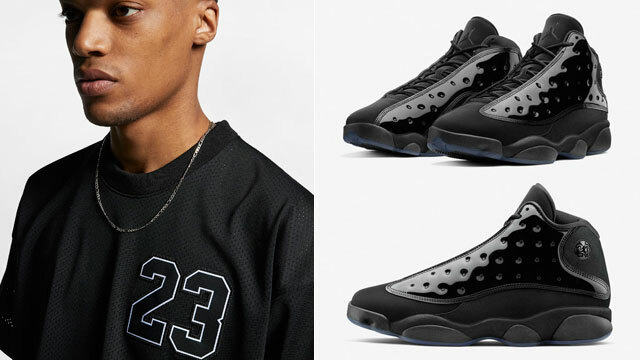 Take a closer look at the sneakers and hoodie with links to shop both below.